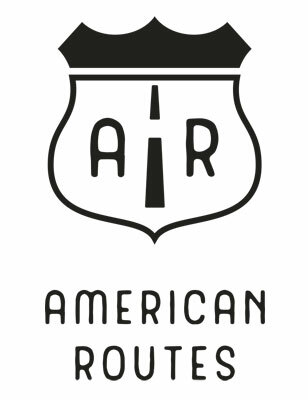 American Routes is a weekly two-hour public radio program produced at Tulane University's School of Liberal Arts, presenting a broad range of American vernacular music — blues and jazz, gospel and soul, old-time country and rockabilly, Cajun and zydeco, Tejano and Latin, roots rock and pop, avant-garde and classical. Hosted by Tulane anthropology professor Nick Spitzer and produced with a team of ethnomusicologists, folklorists and student workers, American Routes explores the shared musical and cultural threads in these American styles and genres of music — and how they are distinguished. Since 1998, the nationally broadcast public radio program has presented documentary features and artist interviews. Conversations have included Willie Nelson, Tom Waits, B.B. King, Dr. John, Dave Brubeck, Nina Simone, Elvis Costello, Ray Charles, Randy Newman, McCoy Tyner, Lucinda Williams, Isaac Hayes, Jerry Lee Lewis, Margo Price and many other notables, as well as Native American spiritualists, riverboat captains, street dancers, fortune tellers and elder surfers. We've also tackled topics like music in prisons, the music of cities from Philadelphia and Detroit, to New York and L.A., New Orleans to Nashville, and biographies of Johnny Cash and Elvis, Robert Johnson and Billie Holiday, George Gershwin and Billie Holiday. Support American Routes and Tulane University in our efforts to keep American pluralism, cultural continuity and creativity at the forefront of the conversation on public radio nationwide and globally at www.americanroutes.org. PS: Want to hear a Tulane student production that aired on American Routes? Click here for the Prince of Wales Social Aid & Pleasure Club.